I’m a voracious reader. I read at least 150 new books each year, spanning almost every genre of nonfiction and several fiction categories. I’m never far away from my Kindle, and I rarely make it through a week without a new Amazon Prime hardcover purchase arriving at my door. Every good book contains at least one piece of advice that makes me a better entrepreneur. 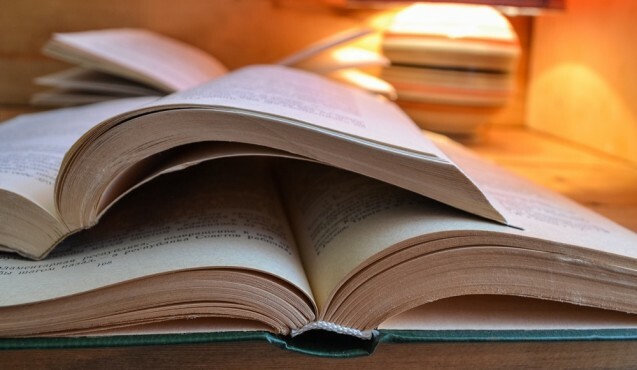 Although traditional business books have many lessons, the books I’ve found most transformative for my startup (and for myself as a leader) haven’t been business books in the classical sense. Instead, they’ve been great nonfiction finds that have helped inspire me in at least one specific way. Several of the books on this list were recommended by friends when I asked them to name the most inspiring book they’d read lately. I encourage all leaders to ask this question regularly of the people they admire. Below are six books I think every entrepreneur and business leader should immediately add to their library. You don’t have to take my word for it: all of these books are international bestsellers, most touting millions and millions of copies sold. I originally read some of them on my Kindle, but I’ve since purchased hard copies of each to have on my bookshelf — they’re that helpful to have around. The War of Art is a great motivator for anyone who works in a creative field — and, as Pressfield argues, very few fields in life aren’t creative in some way. Every entrepreneur deals with writing and presenting, to some extent. Pressfield identifies the internal hurdles we all deal with (Why do we procrastinate? What causes writer’s block?) and gives some of the best tips I’ve ever read for understanding, coping with, and breaking through these barriers. Why read this? Every writer encounters “resistance,” as the author calls it, on a regular basis. It’s part of the creative process. Acknowledge the action, and move on. When I first read Eat Move Sleep in 2013 after USA Today called it “life-changing,” an immediate change I made was ordering a Fitbit. I one-day Primed it to my hotel (I read the book on a plane) and couldn’t wait to start wearing it to track my steps. I haven’t missed a day of wearing it since, because of this book’s super logical arguments for tracking your movement. Rath has serious research credit. He’s the author of StrengthsFinder 2.0 a book that millions of companies (including mine) use to help employees discover what they’re best at. In Eat Move Sleep, Rath gives practical advice (based on hundreds of academic studies) on ways to eat, exercise, and sleep better, and he explores why each area is important to living a long, healthy life. Why read this? You succeed or fail in every moment, not over arbitrary measurements of time like a certain day or a week. Every bite you take is a chance to eat better (versus “I already cheated on my diet this morning, so I might as well make bad lunch choices, too”). Every night, not just the weekend, is a night to catch up on sleep. 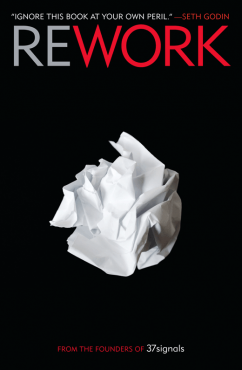 Okay, so I kind of lied: Rework is technically a business book. But it’s so much smarter than and different from almost every other business book out there that I would be remiss if I didn’t include it in this list of recommendations. Why read this? Just because big corporations do something one way, that doesn’t make it the right way. In fact, there’s a better-than-average chance they’re doing it wrong. Of all the books on this list, The Happiness Project is the one that sat unread on my bookshelf the longest. I was skeptical that it might be self-helpy. Once I actually began to read it, however, I was delighted to find it incredibly well-researched, despite the first-person anecdotes Rubin skillfully sprinkles in for effect. Rubin’s book is a great reminder to think about what makes you happy on a regular basis, and integrate more of those things into your day-to-day life. Why read this? Small changes can make a big difference in your day-to-day happiness, altering your big-picture quality of life. The Checklist Manifesto is both fascinating and shocking in its exposure of the weaknesses of the U.S. medical system. Gawande compares the “failure” rates in medicine (people who die needlessly because of doctor errors) with those of airline pilots, architects, contractors and other professional positions where checklists are the norm. The book presents a compelling argument for using checklists to cross off mundane tasks because doing so guarantees that you don’t overlook small steps. Why read this? Checklists help workers move more quickly because they eliminate the need to spend mental energy on often-repeated processes, and they free up the capacity to focus on larger creative problems. In short: good checklists help people work and think more creatively. Although it’s hard to pick a favorite out of all these books I love so much, Getting There is at the top of my list. It’s a beautiful, inspirational collection of stories from some of the world’s most influential people: billionaires, Nobel Prize winners, artists, and entertainers. Segal captures each person’s story (complete with stunning photography) in an effort to debunk the myth that successful people are “born that way.” Each subject candidly discusses obstacles they faced and gives action steps to help readers increase their odds of success while following their passions. Add this book to your collection today. Since reading it a week ago, I’ve ordered it as a gift for five people. Why read this? Mentors don’t have to be formal advisors with whom you meet on a regular basis: there are extraordinary people all around us that you can learn from, even if you’re never in the same room with them. Getting There is a great place to start. 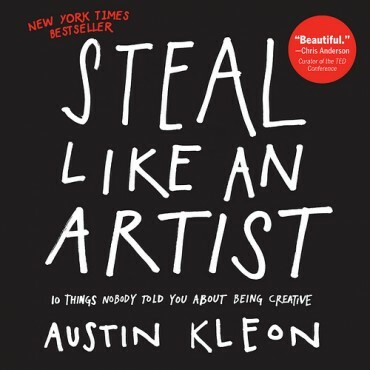 Steal Like an Artist is a great, easy read that breaks down many strongly-but-wrongly believed stereotypes about art. You can create. You can make a difference. You are an artist. Regardless of whether your artistic endeavor is a screenplay or a startup, this book will make a great addition to your coffee table. It takes less than half an hour to read, so I suggest revisiting it frequently. I hope you find these books as enjoyable and instructive as I did. Each helped spark an important, positive change in my thoughts or behavior, which in turn helped shape me into a better entrepreneur. Versions of this article originally appeared in Creator by WeWork and BusinessCollective. Most Disruptive Company” at the United Nations ceremony for its role in redefining physical music.